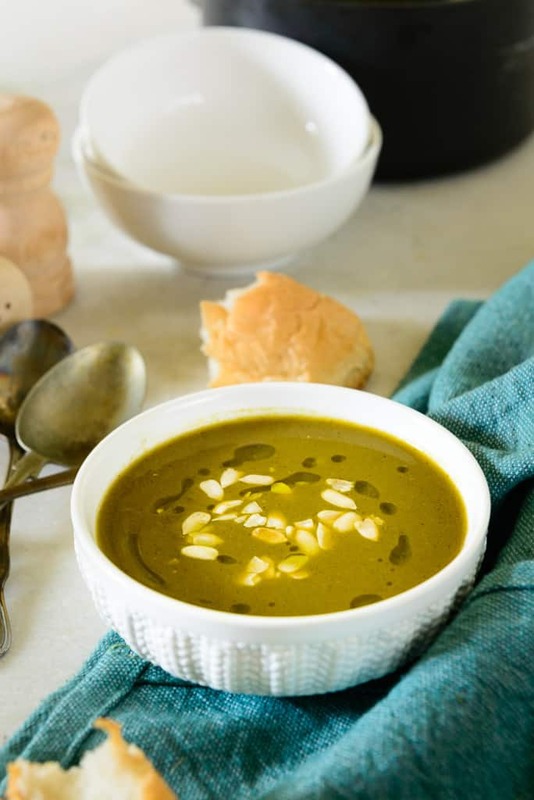 Tamatar Palak Ka Shorba is a delicious Indian style soup made with fresh Spinach and Tomatoes. The soup is very healthy and nutritious and perfect to sip on the cold winter days. The tempering of cumin seeds crackled in Indian clarified butter gives it a unique Indian touch. 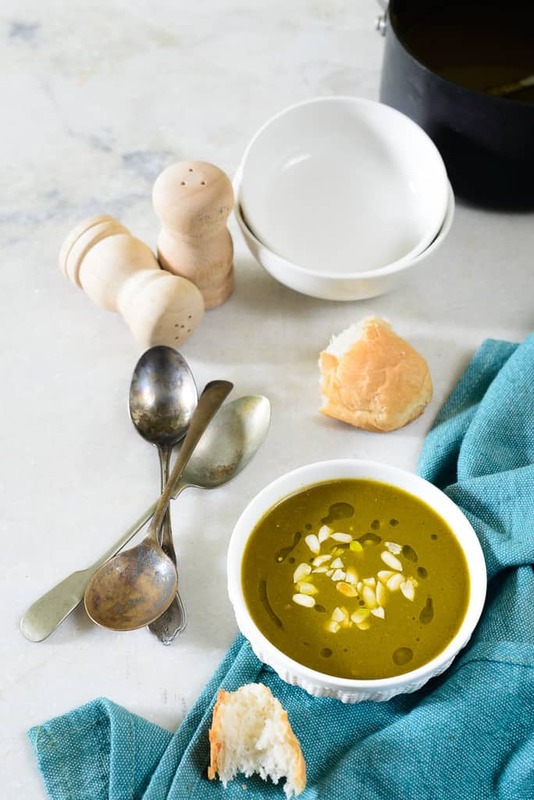 Pair it with some home made bread like garlic knots and you have a delicious soup before your dinner ready in no time. Get more amazing soup recipes. Wash the tomatoes and make a cross section on the top. Wash the spinach thoroughly under running water. Heat 3-4 cups of water in a large pot. Once the water comes to a boil, add the tomatoes, garlic, ginger and bay leaf. Add the spinach in the pot and cook for another 2-3 minutes. Remove from heat and let the tomato and spinach cool. Strain the mixture, discard the bay leaf and keep the water to be used in the soup later. Blend the tomatoes, spinach, ginger and garlic in a blender to make a smooth puree. Add flour and fry till it turns light brown. Add the puree and the water we got after boiling the vegetables. Add more water if you want a thinner short. Once the ghee is hot, add cumin seeds and let them crackle. Pour the ghee over the short. Sprinkle some pumpkin seeds on top. Serve piping hot along with soup sticks or Bread slices. Get more amazing soup recipes. Thank you for the awesome recipe…if we do not use all purpose flour…will the taste differ??? Thnx Ankita. The taste will not change but the consistency will. Actually you do not need to add flour if cooking at home for self consumption. The traditional thin Indian shorba is better than the commercial preparation, where refined flour is added to thicken the consistency. Thanks for recipe. Your picture is superb.